Areli Roofing specializes in providing a variety of services for residential, commercial, and multi-family roofing needs. We are highly skilled professionals for quality install of building/roofing materials, ensuring proper installation techniques so that your warranty is honored. From inspections, to leak repairs, to new roofing, we guarantee that we will complete any project according to the highest industry standards fast and on time. At Areli Roofing, we are a quick and affordable, full service roofing company. When you accept our assistance, you're accepting our dependability and personal attention to each and every job. All of our work is top quality so you can be sure we'll get the job done right and fast! Our team of talented roofers pay full attention to the details. 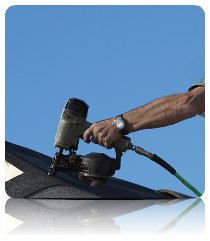 Roofer’s Liability Insurance is one of the most important forms of insurance for any contractor to carry. This liability coverage will protect the contractor and their business if a client or worker ever claims personal injury or property damage. These damages must have occurred on the site or must have been a direct result of the roofing project. The roofer’s liability insurance policy will cover financial losses to the business due to property damage or injury. It will also cover any legal expenses that are incurred.